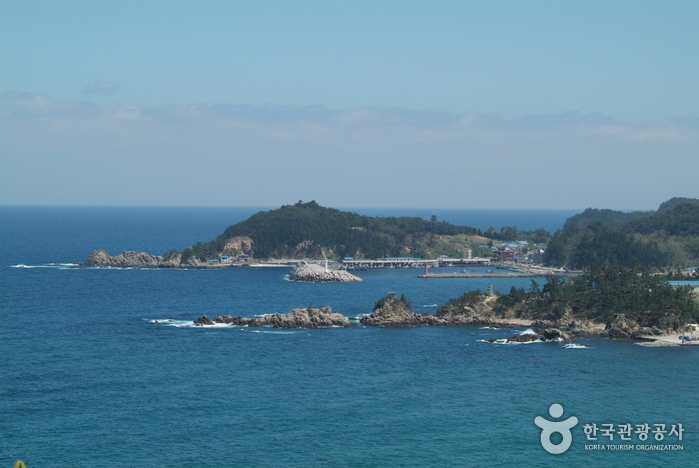 Janghohang Port is just 25km from downtown Samcheok. 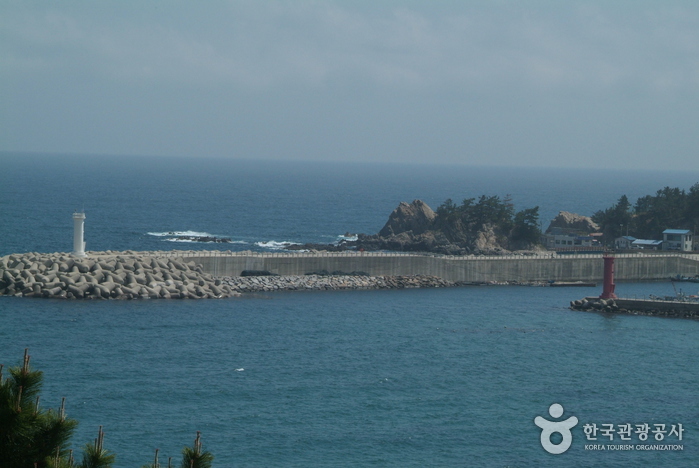 The port is famous for its round beach line and white sand shore and is known as the “Naples of Korea.” From the beach, Janghohang Port offers excellent views of unique rock formations in the sea. Being that it is a port town, it is a rich provider of seafood such as abalone, seaweed, and sea cucumber. It is also known as an excellent place for recreational fishing. Janghohang Port provides many opportunities for a diverse array of activities. Visitors have the option to hop on a real fishing boat and join the crew for some deep sea fishing, where fresh catches can be filleted on the spot. The port also provides tours of sea farms and the chance to cast off with a cuttlefish angling boat at night in hopes of catching squid.